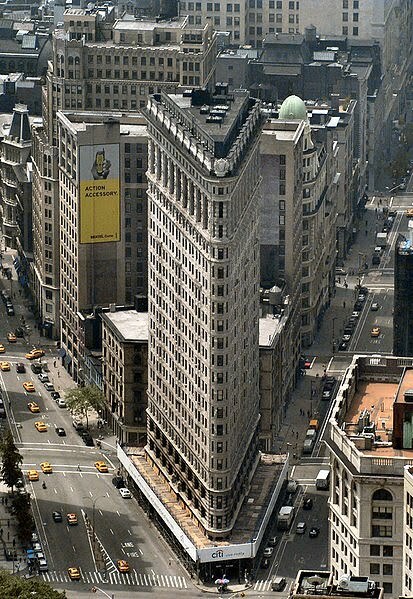 The Flatiron Building was designed by Chicago’s Daniel Burnham in the Beaux-Arts style. Like a classical Greek column, its limestone and glazed terra-cotta façade is divided into a base, shaft and capital. Early sketches by Daniel Burnham show a design with an (unexecuted) clockface and a far more elaborate crown than in the actual building. Since it employed a steel skeleton, building to 22 stories was relatively simple and it was a technique familiar to the Fuller Company, a contracting firm with considerable expertise in building such tall structures. At the vertex, the triangular tower is only 6.5 feet (2 m) wide; viewed from above, this ‘pointy’ end of the structure describes an acute angle of about 25 degrees. The strong downdrafts in this area were reputed to raise women’s skirts as they passed. New York’s Flatiron Building was not the first building of its type: both the Gooderham Building of Toronto, built in 1892, and the 1897 English-American Building in Atlanta predate it. Both, however, are smaller than their New York counterpart. It is 285 feet tall. I volunteer with Habitat for Humanity on the weekends. At the end of August, we finished our first LEED Home. 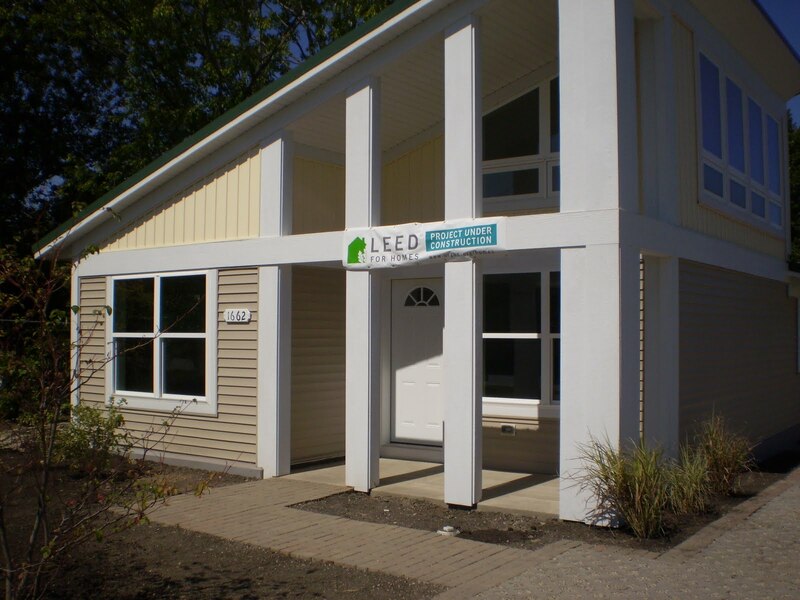 This was the first LEED for Homes that a Habitat for Humanity affiliate in Illinois has completed. It is a great opportunity to network, learn about construction and do something rewarding for your community.